Faculty-led advising, with additional support from the Dean's office at the College of Arts and Sciences, assists students by providing information about potential majors and minors, academic policies, course selection, class registration procedures and graduation requirements. Advisors also facilitate decision making about educational goals and career needs. USD's academic advising program helps foster a supportive, interactive environment that regards all students as individuals. In academic advising, each student works individually with an advisor both on long term academic planning and procedures for completing their degrees. Complemented by USD's Department of Career Services, students majoring in the College have dedicated academic and career support to ensure they are prepared for success after graduation. First-year students receive advisement from their LLC faculty advisor; i.e., the faculty teaching their fall LLC class. This is their assigned advisor until a major is declared, at which time students are assigned to a major advisor in the department for which they have declared their major. More information is available on the Student Academic Resources page. Tutoring resources listed on the My Academics page of the MySanDiego portal. Below are resources to help you advise your students. Each year, class reservation begins on or about November 1st for the following Spring semester and April 1st for the following Fall semester. A directory of classes is made available online through the MySanDiego portal (select the Teach/Advise tab) prior to the class reservation period. Dates for when students are eligible to register can also be found through the Teach/Advise tab. Students can add classes to their schedule using the online Banner system (accessed by the My Academics tab through the MySanDiego portal). After the Add/Drop deadline, students can only add courses with the approval of the instructor and the Deans’ Offices. Students may drop a course during the first eight class days of a semester through the MySanDiego portal. Courses dropped during this time period do not appear on the student’s transcript. Withdrawing from a course after the first eight days of class in the semester, without risk of academic penalty, will be allowed until the end of the tenth week of the semester. Withdrawal within that time limit will be recorded as a W. After that date there is no possibility of withdrawal; the student will receive a grade for the course. Note, for all deadlines, please refer to the Academic Calendar. The Compass program is a requirement for any student declaring a major in the College of Arts and Sciences under the 2018-2019 catalog or later. 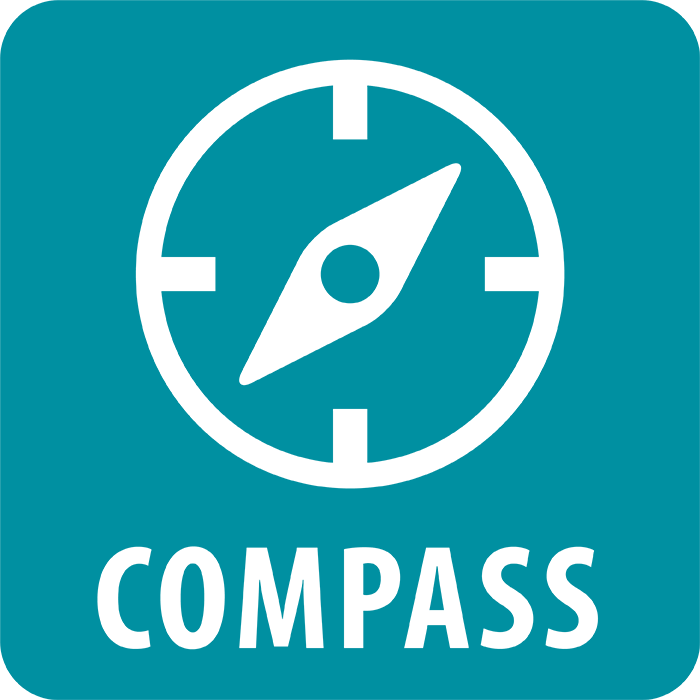 The Compass Program is a collaborative career-readiness program developed by the College of Arts and Sciences and managed by the Career Development Center. The program supports the intentional curriculum students learn in the classroom and assists students in articulating the value of their education. The goal of the program is to assist students in exploring their passions, educating students on opportunities and professionalism, and connecting students with networks that lead to meaningful post-graduation plans. Additional resources are available on the MySanDiego portal on the Teach/Advise tab under the "Advising Resources" portlet. More information specific to the Core Curriculum is available of the Student Academic Resources page. Students can also access these video tutorials through their My Academics tab on the portal. To verify if a student has filled out the appropriate FERPA release forms, go to the MySanDiego portal and click on the USD Services tab under Employee tab. There you will find the FERPA Portlet. Enter the student's ID number. If the student has filled out permission for release of information for a parent or guardian, that person's name will appear with a checklist below of information they are allowed to receive or discuss. Items must be checked and in green, otherwise items or subjects are not to be disclosed. The link to change a grade after the published deadline or to submit a grade for the removal of an Incomplete can be found within the Teach/Advise tab of the MySanDiego portal. This form is located under the “Advising Resources” channel. Once this form is submitted, it will be forwarded electronically to the Registrar’s Office who will manually update the student’s record. This process can take 2-3 days. An undergraduate student who will not be registered at the university during a regular semester (fall and/or spring), but would like to return without applying for readmission, must request a leave of absence (LOA) by the last day to enroll in classes for that semester. In order to begin the LOA process, students can complete the online Request for LOA. All of the forms required by the Dean’s Office are available through the Office of the Registrar or through the One Stop Services tab in the MySanDiego portal. Please note, it is preferred that faculty enter a pre-approval or override for students into their courses through the online system on the Teach/Advise tab. Override pre-requisites: Requires instructor’s signature and does not need Dean’s signature prior to the add/drop deadline. Student takes completed form to OneStop Center. Independent study form requires faculty supervisor, department chair and Dean’s signatures and the signature of the Honors Program Director for courses that will count for Honors in a student’s major. Substitution of Degree Requirements require department chair and Dean’s signature. For waiver of residency, requires signature of student’s declared major departmental chair. Student drops off form in the Dean’s office. Summer and Intersession course overload forms are needed if students want to take more than one class per session. If students think their pre-USD course should be evaluated for core credit, the completed form must be forwarded to the appropriate Core Area Representative (CAR). Otherwise, the form will be submitted to the Transfer Analyst in the Registrar's Office, FH 117A. Waiver of Residency forms require department chair and Dean’s signature. For waiver of residency, requires signature of student’s declared major departmental chair. Student drops off form in the Dean’s office. The Academic Integrity Policy (4.8) applies to Arts and Sciences and outlines procedures and sanctions. Note: Access to this link requires a valid MySanDiego username and password. The Family Educational Rights and Privacy Act of 1974, as amended (sometimes referred to as the Buckley Amendment), is a federal law that protects the privacy of education records of all students enrolled in schools beyond the high school level. Schools are required to maintain that privacy, primarily by restricting release of records and the access provided to those records. Any educational institution that receives funds under any program administered by the U.S. Secretary of Education is bound by FERPA requirements. Institutions that fail to comply with FERPA may have funds administered by the Secretary of Education withheld. Please note, the FAQ section (FERPA Issues for Faculty) contains information on posting class grade, accessing records and what to do if parents call requesting information. For students that have started USD in Fall 2014 or later, faculty may access the FERPA information about students in the “FERPA Portlet” on the “USD Services” portion of the “Employee” tab of the MySanDiego portal. Final examinations are held in all courses at the end of each semester. Dates and schedules for the final examinations are not to be changed without the approval of the appropriate Dean. Exceptions for individual students can be made at the discretion of the instructor. In such cases, the Dean will support an instructor’s decision to allow, or not to allow, an exception for any given student. In fall and spring semesters, examinations are limited during the week prior to final examinations. There may be no major examinations; minor quizzes are permitted as long as they are listed on syllabi at the beginning of a semester and do not count for more than 10 percent of the course grade. Laboratory practica, papers, oral reports, and make-up examinations are permitted. Students are responsible for class attendance and material presented during the week before final examinations. Final Examination schedules for Arts and Sciences, Business Administration, and Leadership and Education Sciences courses can be found on the MySanDiego portal (Teach/Advise or One Stop Services tabs). Adopted by the College of Arts and Sciences of the University of San Diego, March 11, 2008. The University of San Diego sponsors intercollegiate athletic programs. Participants in these programs are bound to the same standard of academic excellence expected of all undergraduate students. To ensure this standard, the University recruits and enrolls student-athletes who have the intellectual abilities necessary to succeed in the classroom and obtain a baccalaureate degree. Since the pursuit of both academic and athletic excellence is a time-intensive activity, it is inevitable that student-athletes will face conflicts between their class and athletic schedules. The purpose of this policy is to set forth principles and procedures aimed at reducing conflicts, negotiating those that remain unavoidable, and ensuring both the integrity of the academic process as well as the just treatment of student-athletes. In accord with NCAA and USD’s conference regulations, the athletics program will take every measure to minimize the number of classes student-athletes must miss due to athletic. Athletic Supervisors and Coaches will take the academic calendar and schedule into account when scheduling athletic contests, practices and team. No practice session or team meeting may be scheduled during mmandatory orientation sessions. No student-athlete may absent him/herself from class to attend a practice session (NCAA Rule1.6.61). When an athletic competition takes place at USD (i.e., a ‘home-game’), no student- athlete is authorized to be absent from any class prior to two hours before the scheduled start of the competition. Student-athletes will not be penalized academically when they miss a class due to inter-collegiate athletic competition. However, certain academic activities which cannot be rescheduled or which comprise a core component of the course (e.g., field trips) demand the student-athletes’ presence. These academic activities must be identified on the course syllabus as “mandatory for all”. Authorized absences for official athletic competitions do not relieve student-athletes of their class responsibilities. They are responsible for any course material covered during a missed class. Faculty should indicate on the course syllabus, available to students on the first day of class, the dates of all major exams, due dates for paper or project submissions, and dates of field trips and other mandatory class-related activities. Faculty retain the right to announce adjustments to a syllabus during the semester. In the first week of class, preferably by the end of the first class, student-athletes must give each of their professors a copy of the ‘travel letter’ issued by the Athletic department which details the anticipated missed class dates for the student-athlete. Student-athletes are responsible to review the syllabus, note potential conflicts, bring them to the attention of their professors and request reasonable accommodations in the event of missed quizzes, exams and assignments. The faculty member will determine the accommodations which shall neither penalize the student-athlete nor unfairly advantage or disadvantage him/her relative to other students. In the case of missed quizzes or exams, a faculty member may choose to have the quiz or exam administered and proctored through the Athletics program. The process of negotiating accommodations should be concluded within the first ten days of the semester. Faculty should take into consideration the schedules of student-athletes when scheduling graded activities that are in addition to those already listed on the syllabus. In the event that there is a conflict between missed class dates and core academic activities which cannot be avoided or resolved, the student-athlete shall immediately contact his/her academic advisor. No faculty member is obligated to excuse a student-athlete in the case of excessive absences. If, in the judgment of a faculty member and after sincere efforts to reach agreement about course work and expectations, the number of missed classes projected would jeopardize the student-athlete’s successful completion of the course, the faculty member may recommend that the student-athlete enroll in another course where fewer scheduling conflicts would occur. If a student-athlete is advised to select another course, he/she may ask for assistance from the Dean’s office in order to find a course that will incur fewer conflicts. Approved by Dean Nicholas Healy April 22, 2008. Effective September 1, 2008. Students who wish to fulfill specific competency requirements for graduation may do so by taking Competency Examinations administered by the Departments of Languages, Cultures and Literatures, English, Mathematics and Philosophy. The dates for these examinations are announced in the Academic Calendar. Students should pay their fees at the Cashier’s Office (Hughes 211) and take their receipt to the department running the exam. Here they can also obtain information on the location/time of the exam and how the results will be made available to them. A copy of the exam results are sent to the Dean’s office and to the Registrar. No academic credit will be given for these examinations. Before enrolling for the first time in one of the languages offered at USD, students must go through an evaluation of their current skills in the language they want to study. Evaluation results will “place” the student in the most appropriate level of language class. Students can then enroll in a class section for the course. For more information about the Language Placement Exams, go to the Languages, Cultures and Literatures website. Placement results are valid only for the academic year in which they are obtained. The Language Placement Exam may only be taken once without the express consent of the Director of Placement or the Department Chair of Languages, Cultures and Literatures. The exam is a diagnostic tool: students should not study for it; students should not receive any outside assistance. All Language Placement Exams (except Ancient Greek) are online. Please visit the Language Placement Exam website to access these exams. To take the exam in your language of choice, read the declarations, scroll to the bottom of the page, and press "take the placement exam." To study a language as a beginner, students will request a Waiver of Placement to enroll in a 101 course. If they have obtained a Waiver of Placement, please do not take a Language Placement Exam. If students are familiar with a language or have studied it in any classroom, they should take the Language Placement Exam. They should not use dictionaries, notes, or outside sources, as they will want to be placed accurately! If students are placed in a higher-level course based on your exam results, they cannot register for any lower level courses. Students are placed into Math classes based on their SAT/ACT scores, however, if they are not satisfied with their SAT/ACT results and would like to be placed in a higher-level math course, they should take the placement exam. Students should visit the Math Placement site to decide which exam to take and how to prepare for the exams. Note, students should study for the placement exam, as indicated through the link and they can take a lower-level math class than the one they are eligible to be placed into. The Math requirement for students depends on their major, but if students are uncertain as to what major they want to pursue, Math 115 (College Algebra) is more flexible than Math 112 (Investigations in Modern Mathematics). For students who are certain that they will not go into one of the majors where Math 115 or higher is required, Math 112 can be an attractive alternative to Math 115 as it covers interesting topics they may not have learned before, such as mathematics of voting, encryption, and games of chance. Hours of operation: Monday- Friday, 9:00 a.m.-5:00 p.m.